US National Guard Flags from Tuff Flags will make a great way to recognize the efforts and contributions of those who stand ready to serve the county if called. 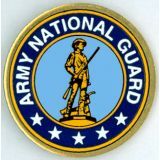 It is a great way to show your pride and support to the people who are in National Guard. Made in USA, our US National Guard Flags are digitally printed in single reverse on 200d nylon and feature UV resistant Dupont inks. Shop right away and avail the advantage of the best prices, quick shipping and much more! 100% customer satisfaction guaranteed! 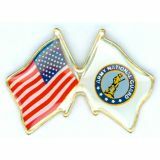 Choose from various US National Guard Flag models like Air National Guard Garden Flag, Army National Guard Garden Flag and Army National Guard Outdoor Nylon Flag and accessories like lapel pins and grave markers to show your support to the selfless service rendered by national guards. These guard units are the ones deployed in emergencies like civil unrest or natural calamities like tornadoes, hurricanes and snowstorms among others. 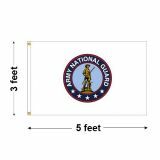 US National Guard Flags will make a perfect gift to those serving National Guard or for the veterans. Available in various sizes and materials choices, our flags are durable and can withstand the outdoor weather elements. Fly these flags to show that you value their services and to highlight your American pride. 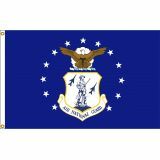 Browse our collection of National Guard flags available in different sizes and materials to shop or call us at our toll free number (888) 287-3524 or email at customercare@tuffflags.com for assistance.